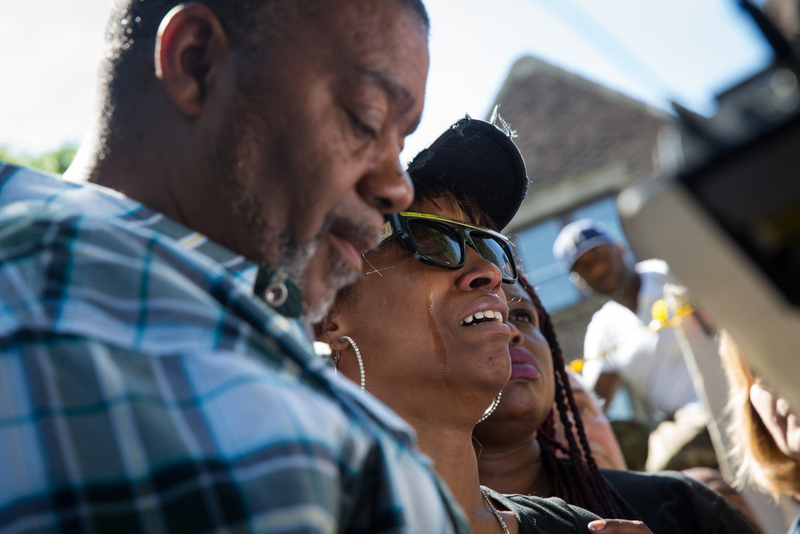 A St. Anthony police officer shot and killed Philando Castile, a 32-year-old African-American man, during a traffic stop in Falcon Heights, with much of the aftermath recorded on live video. Just had protesters threaten to pull my mic cord out of my recorder in a public street. Mic wasn't even on. Diamond Reynolds stands with Clarence Castile outside of the Governor’s Mansion during the NAACP press conference on Thursday, July 7, 2016. Reynolds was in the car with Philando Castile when the shooting occurred. Clarence is Philando's uncle. 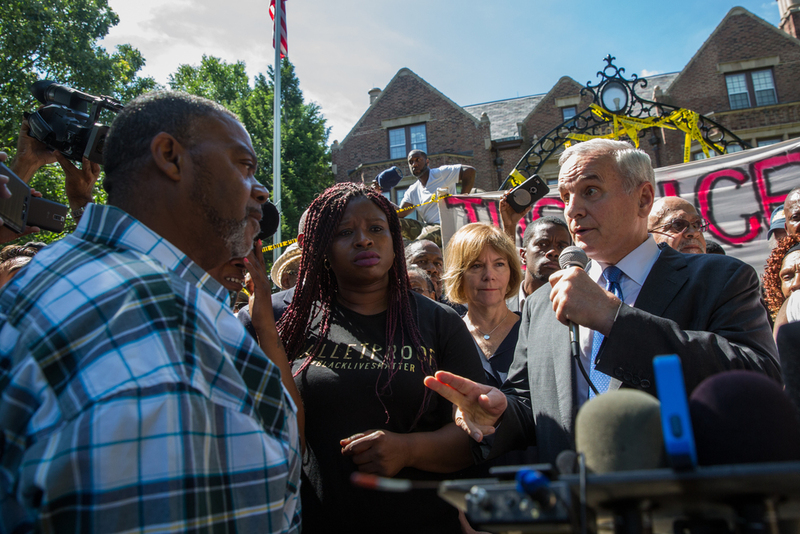 Governor Mark Dayton speaks to Philando Castile’s uncle Clarence Castile during the NAACP press conference outside of the governor’s mansion on Thursday, July 7, 2016. 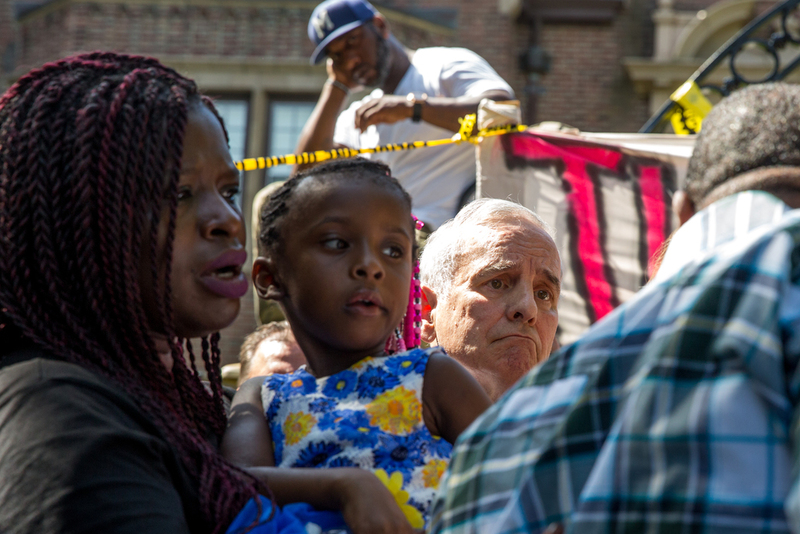 Governor Mark Dayton listens to the NAACP Press Conference next to NAACP President Nekima Levy-Pounds and the daughter of Diamond Reynolds outside of the governor’s mansion on Thursday, July 7, 2016. Gov. Dayton plans 3pm presser with cabinet members to further discuss Philando Castile shooting. 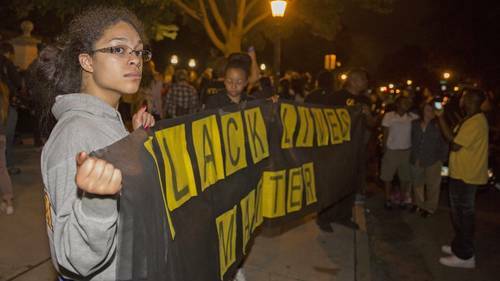 FALCON HEIGHTS, Minn. (AP) — Minnesota's top public safety official says investigators plan to release the name of the officer who shot and killed a black driver after he is interviewed. 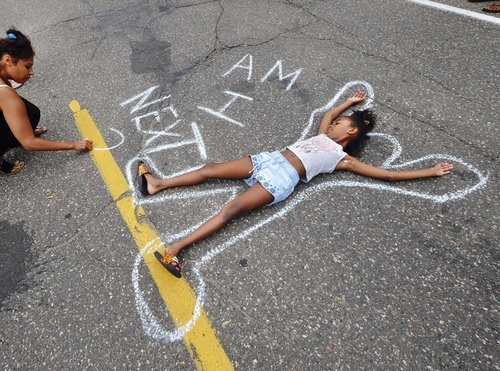 Department of Public Safety Commissioner Ramona Dohman said at a news conference in St. Paul that the officer who shot and killed Philando Castile on Wednesday will be interviewed later Thursday and that his name will be released afterward. 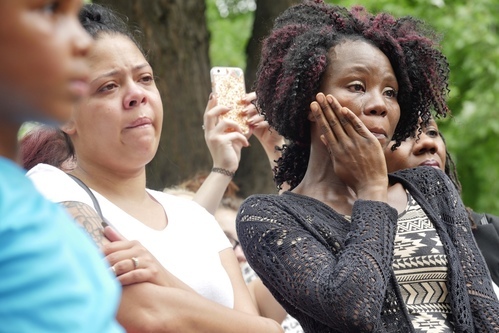 The officer shot Castile several times after police apparently stopped his vehicle due to a broken taillight in the Minneapolis suburb of Falcon Heights. Castile's girlfriend, Diamond Reynolds, was in the car and broadcast the aftermath of the shooting live on Facebook. Dohman declined to say if investigators are reviewing other footage, what led to the traffic stop or whether Castile was licensed to carry a gun that Reynolds said he had in the car. There was plenty of reaction from Minnesota political leaders to the fatal shooting of Philando Castile by a St. Anthony police officer. Here are some of their statements. The video of Philando Castile in Falcon Heights spread online only hours after the release of footage showing the killing of Alton Sterling in Baton Rouge, La. 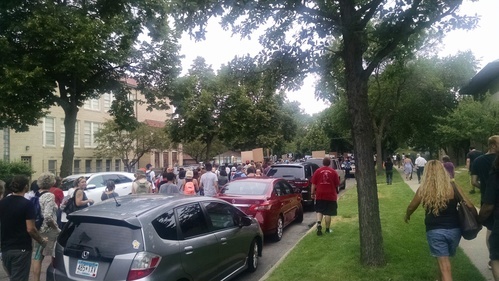 Unicorn Riot has a live stream of the vigil for Philando Castile tonight at J.J. Hill Montessori: Watch here. 07:16 GMT - The White House says President Barack Obama, who is attending a NATO summit in Warsaw, has been briefed. "The president has been updated on the shooting of police officers in Dallas. He asked his team to keep him updated on the situation as they get additional information," White House spokesman Josh Earnest says. "Hurting for Dallas right now," says Alex Morgan, a member of the US national women's soccer team. "It seems like we wake up or go to sleep reading more tragedies than not. I want to wake up from this nightmare." NBA star LeBron James takes to Twitter to tell his 31.5 million social media followers violence won't solve anything. "We are all hurting tonight," James tweets. "More violence is not the answer. #StoptheViolence." "I want to hope this is all a bad dream...it ain't," two-time Major League Baseball World Series champion Shane Victorino tweets. Chris Iannetta, catcher for the Seattle Mariners, calls for an end to shootings on both sides. "People. Please end the violence. Enough is enough. We are all humans. We all deserve the right to live happily!" Japanese pitcher Yu Darvish has played four seasons with the Texas Rangers and lives in Dallas. "Pray for my hometown. #prayforDallas," he tweets. "Praying for this world my kids gotta grow up in...I'll die for them, won't let the streets or the (social) media raise them. That's on God," tweets Oklahoma City Thunder player Anthony Morrow. Spencer Dinwiddie, who played 12 games with the Detroit Pistons this past season, said the killings seem so senseless. "Whole lotta hate out here...and in the grand scheme of things it's for no reason," he tweeted.